With 32 offices in 11 states, the this franchise is the nation’s leader in solar, one of the fastest growing industries with 45% annual growth. This franchise has a comprehensive business plan and support that allow individuals and independent solar companies to have speed to market and instant credibility with customers from day one. This franchise makes a very strong Item 19 earnings claim in their franchise disclosure. The franchise provides division of labor that achieves economies of scale. :Just in time product distribution with clear forecasting, Working capital relief, Pay for performance lead generation, Training programs for new product rollout, Lease program improves sales velocity. Marketing support includes a Call Center that provides over 50% of customers to franchisees, Qualified pre-screened leads, Internet marketing, Programs tested & data shared among franchises, Aggregated media & advertising impact, Unified branding & presentation materials, Tested marketing collateral. Total Investment including first year expenses is estimated at $100K. Interested investors will need a minimum net worth of $350K with $200K liquid. The business will not respond to general inquires, students or brokers. Please reply with: Your full name Home mailing address (no PO Boxes) Phone numbers and best time to contact you are required Your information will be kept confidential and you will get quick response. 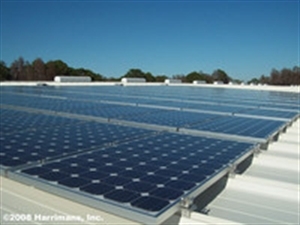 Market Information and Position: This franchise is the Nation's leader in solar power. Lease programs with little or no out of pocket cost and guaranteed savings plans make for a strong, compelling sale to the consumer. Large territory is available at an affordable price. You can also lock in additional territory to open within two years for 1/10th the intial cost. The remaining fee will be due when the business starts in the new territory. Attractive lease programs are offered to customers of the franchise. We can help you to obtain funding using your 401K or by referring you to franchise friendly lenders.